A reader has asked me about my use of the abbreviation Ex. Does [Ex.] mean ‘for example’? I’ve only known one abbreviation and that’s ‘eg’. If that is the case can you please explain where eg came from? Sometimes I use Ex. to mean “for example” or “an example.” Sometimes I spell out “for example.” And when I’m feeling academic, I use e.g. to introduce a list of examples. 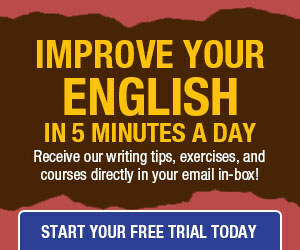 In US usage, a comma always follows the abbreviation, but in British usage, a comma after e.g. is optional. In this article, e.g. is written in italics because I’m writing about it. In normal use, the abbreviation is written in roman type: e.g. In the old days, before handy Latin shortcuts were perceived as “elitist and discriminatory, “writers threw in e.g. without restriction. Nowadays, style guides impose limitations. Local authorities have ordered employees to stop using [Latin terms] on documents and when communicating with members of the public and to rely on wordier alternatives instead. The terms to be dropped in official documents included bona fide, ad lib, etc., ad hoc, i.e., per se, quid pro quo, vice versa, via, and status quo. Among the replacement recommendations were “existing condition” or “state of things” for status quo, and “for this special purpose” in place of ad hoc. Not everyone knows Latin. 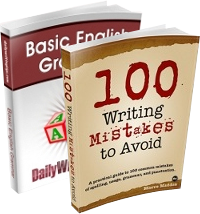 Many readers do not have English as their first language so using Latin can be particularly difficult. ESL learners shouldn’t have more difficulty than Latinless native speakers when it comes to learning the traditional Latin shortcuts. All they have to do is look them up in an English dictionary. However, we live in an age that bows before ignorance. Governing authorities and schools seem to feel that eliminating “hard words” is more desirable than taking the trouble to teach them. I especially love the nineteenth-century novelists, e.g., Herman Melville, Mrs. Gaskill, and George Eliot. And I don’t always put the e.g. bit in parentheses. The Difference Between e.g. and i.e.? Amen to this! My sentiments exactly. Aren’t ninth-graders expected to memorize Marc Antony’s speech anymore? Lynn, Maeve: Hoo-rah! Tell it like it is. Preach on, my sisters. We shall overcome! Oops. I try not to preach on Daily Writing Tips. I save that for my personal site, maevemaddox.com/. Ummm… like, hello?…He’s not even married to JLo anymore. Who needs his speeches? I guess it is Latinish, huh? Mea malus.